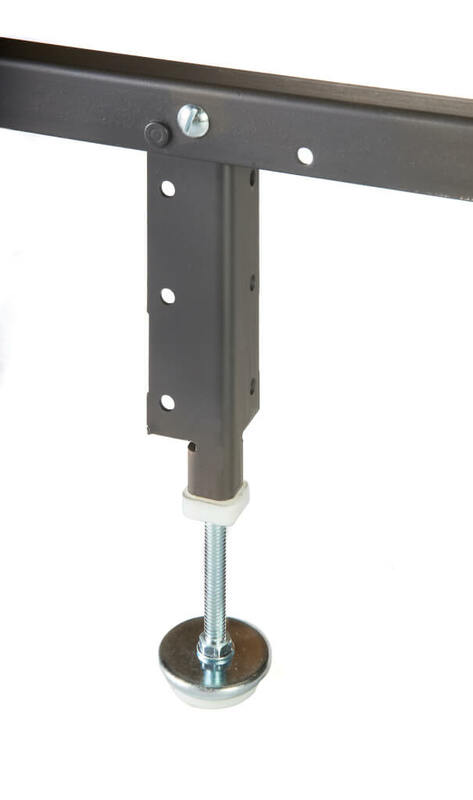 The 63CSWB Metal Super Duty Frame is the work horse of our hook frame support systems. 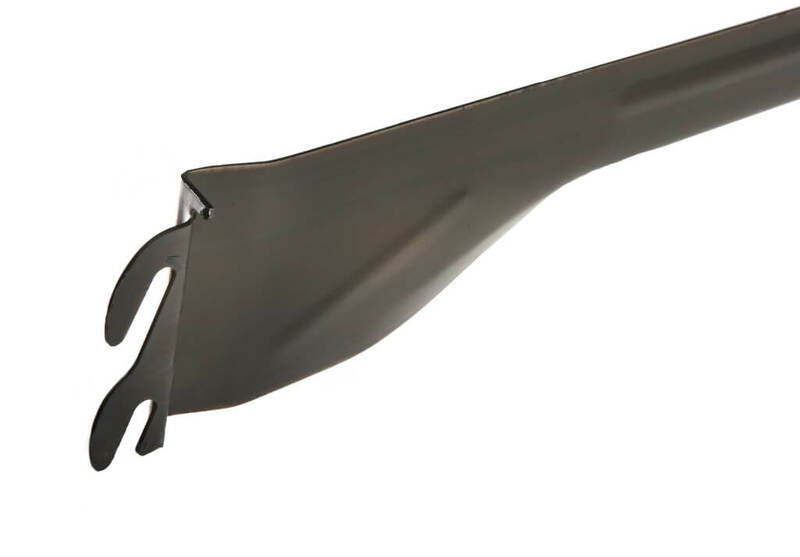 STL Beds recommends this nine leg hook in type bed frame for the heaviest of services like softside waterbeds or an obese couple. The weight of a queen softsided waterbeds is about 900 pounds + weight of the bed+ the persons using it. If a bed frame is capable of doing all that, you know it’s strong enough to support larger people who push the weight limits of ordinary regular bed frames. 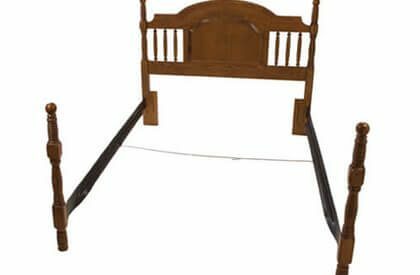 This special frame is able to be connected beds with hook in slot type headboards and hook in foot boards made of wood and will support you safely and stylishly. This premium super duty bed frame was built to support a Queen Softside waterbed it can handle other tasks as well like: Memory & gel foam, latex bed, and mattress & box springs. 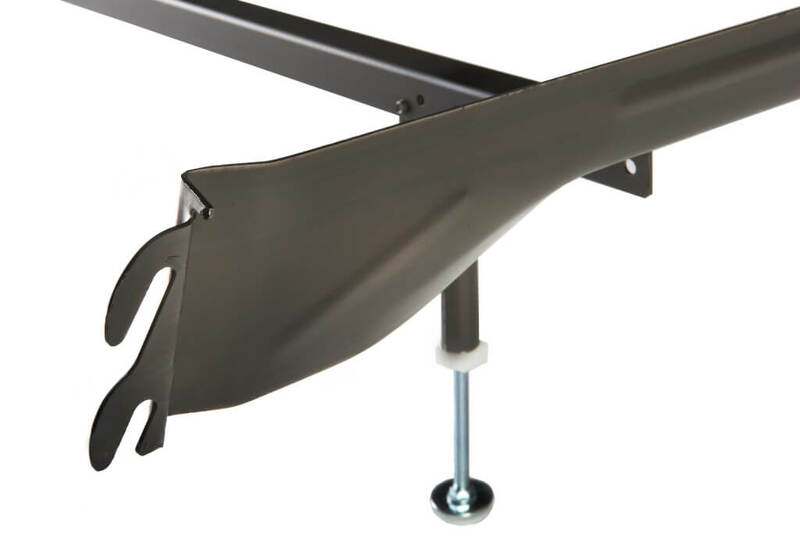 It includes hook in headboard and foot board side rails made from high carbon railroad steel. 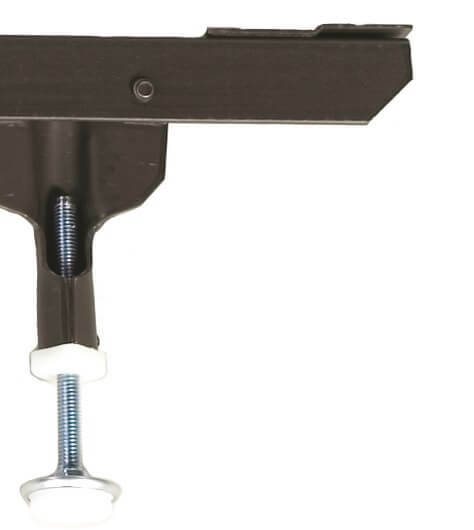 It also includes 3 support bars with 3 adjustable feet per bar to evenly distribute additional weight. 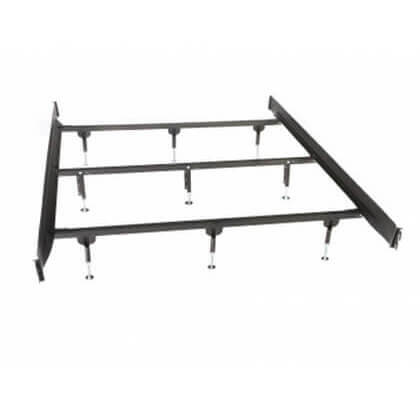 This frame will not stand on its own without a headboard and foot board and has a height range of adjustable feet that can go between 8-11 inches. Total of 9 adjustable feet. 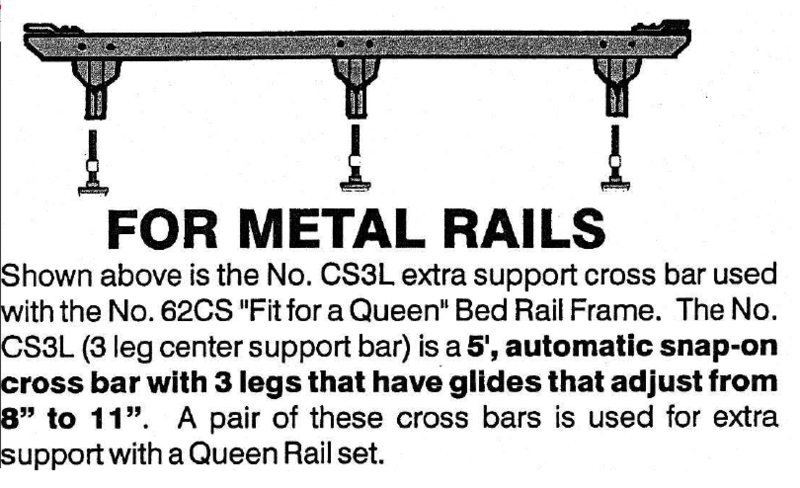 The 63CSWB water bed frame includes extra long rolled steel side rails. 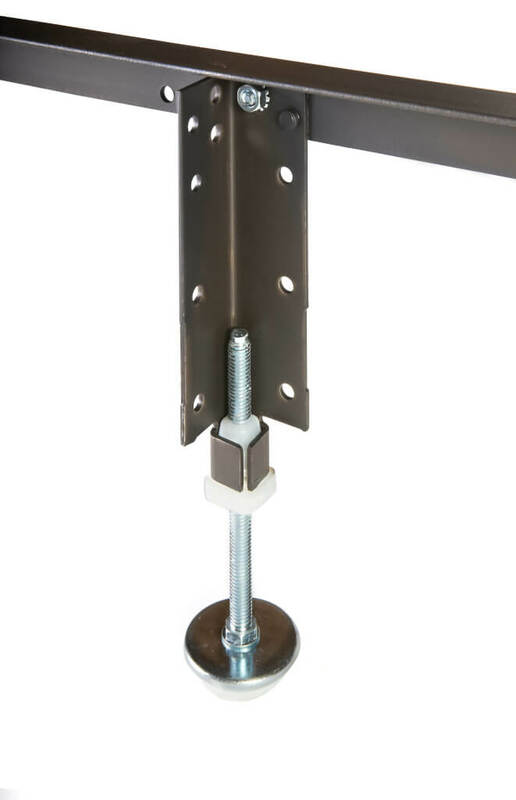 Side rails are bolted together with 3 one-piece support bars, each with 3 legs and 3 feet per bar for total of 9 legs. 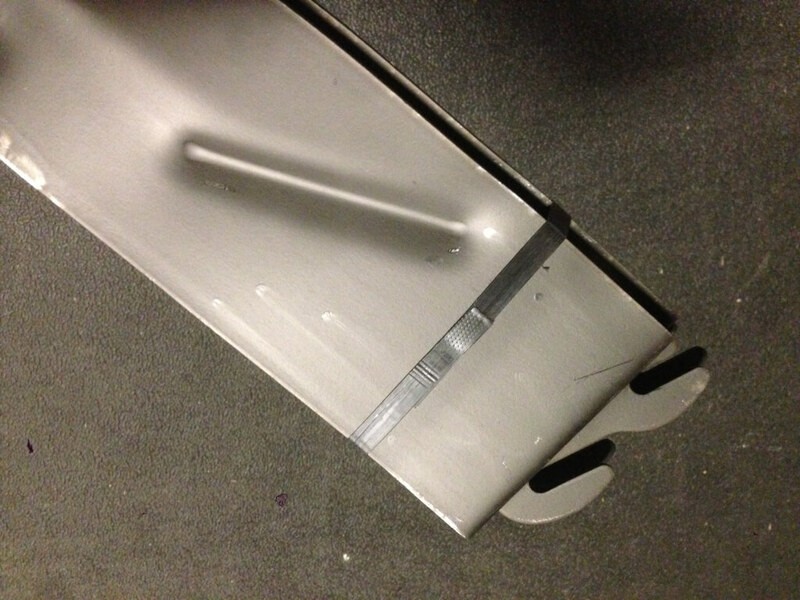 Stronger T-shaped leg interlocks above and below side rail for maximum strength. 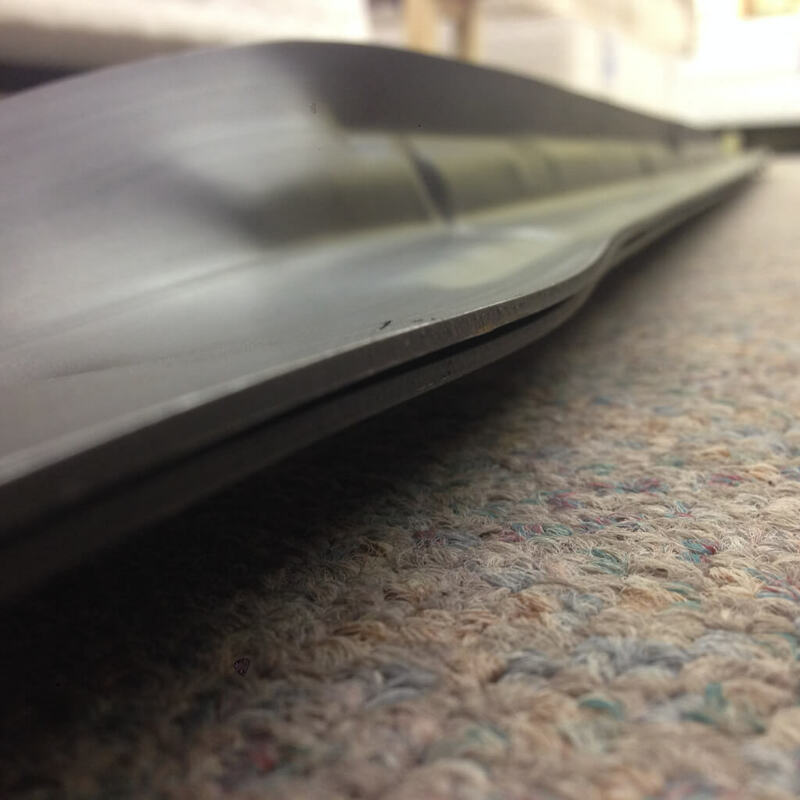 Large Feet helps distribute the weight of the bed over a wider surface for significantly better weight distribution. 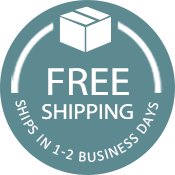 Review our shipping policy and return policy before you buy. 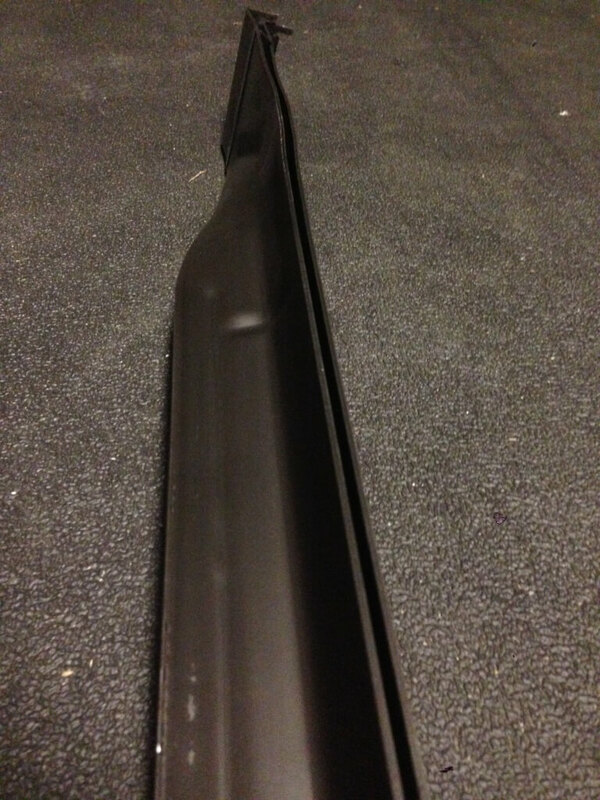 I ordered this product to use with a head and footboard that was not being used because the rails had bowed. This frame with the extra support was just what I needed. It’s in a guest room so I’m not sure about the durability just yet, but I have to believe with the extra support all will be just fine. I was most pleased and appreciative of the indivdualized customer service. Doug called to make sure I had the correct product for my needs and had taken accurate measurements to ensure I would incur unnecessary return shipping costs. The I received my frame in 3 days as promised. I would definitely order from STLBeds again. I have already recommended them to a friend who needs frames. I highly recommend STL Beds and this particular bed frame. Great quality, easy to assemble, and packaged well. I am very impressed with this company. Love this bed frame so far. And customer service was great. Doug called to make sure I had done the measurements. Easy to assemble, I did it myself. Very sturdy. Hooked right in. I have been looking for a good bed frame. I looked everywhere and couldn’t find one that was made good and strong. That is until I came across this site STL Beds. I red everything on the site and then I bought this one, 63CSWB Metal Super Duty Frame. It is the best one I have seen. I am glad I found this site. If you want a real good bed frame then buy from here. 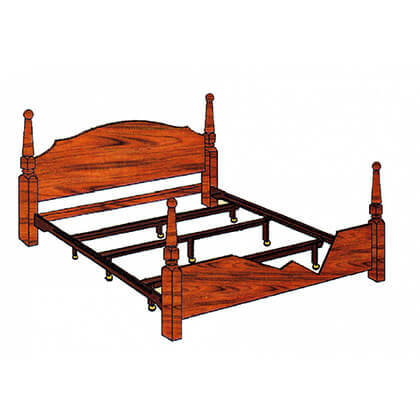 The prices are great and the bed frames are made great and real strong. They even ask you a lot of questions to make sure your getting what you need and that it is right for your bed that your using it on. Great people to deal with. 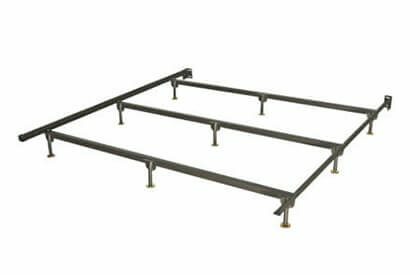 If I need another bed frame then I know where to buy it from STL Beds. To say I am pleased with this bed frame would be an understatement. I am happy indeed. It fit my headboard and footboard, and is exceptionally sturdy. The distance between the queen size slits on my bed to fit the hook-in frame to was 61 inches. 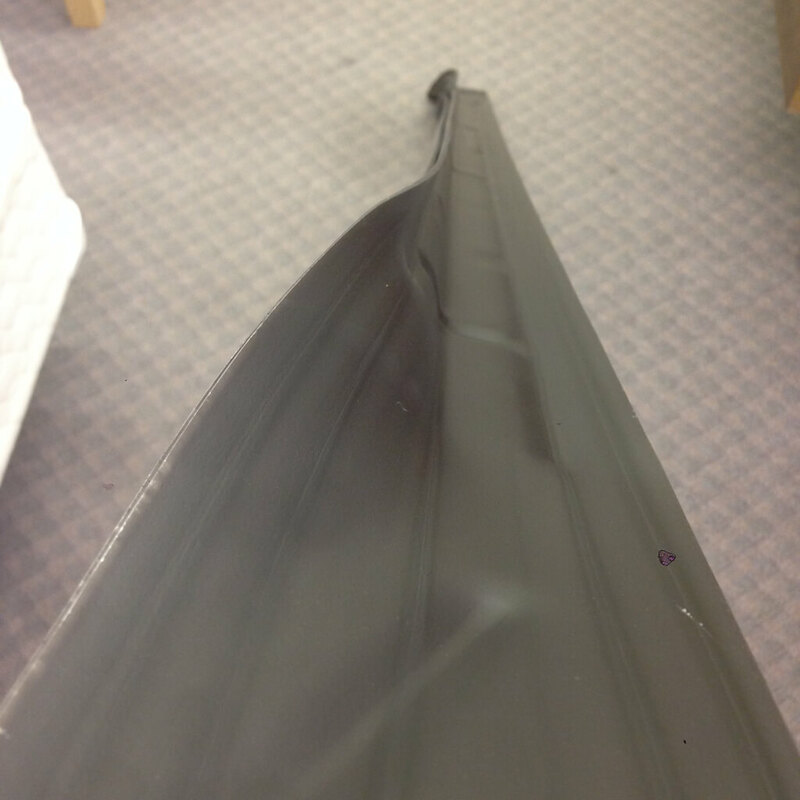 The frame fit into the slits, but one fraction of an inch more and it would not have fit, so pay close attention to your measurements. The price with the winter discount was more than reasonable for the exact frame I needed. The customer service I received over the telephone was superb. The gentleman was courteous and knowledgeable. I couldn’t be at my home to see what I needed. I had to rely on a telephone to conduct business and order. I was so pleased to have the order in and on its way quickly. When I got home, it was only about three days before the frame arrived. Thank you, STL Beds. You are a great business.